Below you fill find all funeral homes and cemeteries in or near North English. Suburbs of North English: White Pigeon. Zip codes in the city: 52316. Some of the notable people born here have been: (mace brown). North English is a city in Iowa and Keokuk counties in the U.S. state of Iowa. The population was 1,041 at the 2010 census. It is named for the English River. It was revealed by The Mail Tribune on March 21st, 2018 that Richard R Munn died in Oregon. Munn was 81 years old and was born in North English, IA. Send flowers to share your condolences and honor Richard R's life. It was disclosed by Hutchinson News on January 27th, 2018 that Joyce Hayes (Flory) passed away in Little River, Kansas. Ms. Hayes was 87 years old and was born in North English, IA. Send flowers to share your condolences and honor Joyce's life. It was disclosed by Des Moines Register on October 8th, 2017 that Patricia S Mayer (Polich) died in North English, Iowa. Ms. Mayer was 77 years old. Send flowers to express your sympathy and honor Patricia S's life. It was reported by Register Guard on June 4th, 2017 that Jerry Lynn "Doc" Garringer perished in Eugene, Oregon. Garringer was 67 years old and was born in North English, IA. Send flowers to share your condolences and honor Jerry Lynn "Doc"'s life. It was noted by Des Moines Register on February 18th, 2016 that Austin James Watson passed away in North English, Iowa. Watson was 25 years old. Send flowers to share your condolences and honor Austin James's life. It was revealed by San Mateo County Times on February 8th, 2014 that Irene Nellie Hudson (Smith) passed away in San Mateo, California. Ms. Hudson was 103 years old and was born in North English, IA. Send flowers to express your sorrow and honor Irene Nellie's life. It was written by San Mateo County Times on February 4th, 2014 that Irene Nellie Hudson (Smith) passed away in San Mateo, California. Ms. Hudson was 103 years old and was born in North English, IA. Send flowers to express your sorrow and honor Irene Nellie's life. It was noted by Waterloo/Cedar Falls Courier on June 23rd, 2013 that Lloyd A Pilkington passed away in North English, Iowa. Pilkington was 85 years old. Send flowers to express your sympathy and honor Lloyd A's life. It was noted on June 23rd, 2013 that Arnold Charles Schoenthaler died in East Brunswick, New Jersey. Schoenthaler was 83 years old and was born in North English, IA. Send flowers to express your sorrow and honor Arnold Charles's life. It was written by Waterloo/Cedar Falls Courier on August 20th, 2012 that Florence Myszka passed on in North English, Iowa. Myszka was 96 years old. Send flowers to share your condolences and honor Florence's life. It is named for the English River (Iowa) River. The population was 991 at the 2000 census. 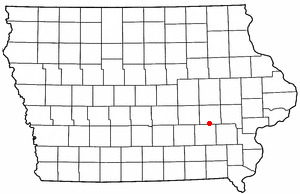 North English is a city in Iowa County, Iowa and Keokuk County, Iowa counties in the US state of Iowa. . . Calling hours will be held in the Burke-Magliozzi Funeral Home, 390 North Main St., Andover ... She was a graduate of Lynn English High School and Mount Ida College. For over 25 years, she was associated with Victor Realty Co. of Andover as a Realtor. Find a Funeral Home inWellman, Iowa IA to provide the caring burial and ceremonial services your family deserves. We work with local florists and flower shops to offer same day delivery. You will find budget sympathy flowers in North English here. Our funeral flowers are cheap in price but not in value.